Regular services on your BMW is crucial to its overall operating efficiency. From oil changes to parts replacement, Bimmers Only is the place to head when you need service. With a mission of providing our customers with the highest quality repair while saving you up to 60 percent off dealership prices, we serve BMW owners with honesty, quality products and integrity. For superior BMW service in Dallas TX, it’s no wonder our customers come back time and again. With a top-notch facility and highly trained technicians, trust us to keep your vehicle in top working order. We have several convenient time slots to choose from so call us today to make your appointment! Our technicians are devoted to making sure your BMW stays in optimal driving condition. That’s why we routinely make sure your car has the right fluid levels and worn out parts are replaced immediately, all in an effort to increase your fuel economy and reliability so you don’t experience costly breakdowns. Check out the service offerings of our Bimmers Only shop located conveniently in Dallas. Regular maintenance is critical in preventing break-downs. From oil and filter changes to factory-scheduled maintenance, you can lean on our certified BMW service technicians to quickly and efficiently address your service issue. We’ll even remind you when important service dates are approaching so you don’t miss a beat. Ignoring regular service can lead to the exacerbation of problems that could be fixed simply and more cost efficiently than if you let the problem go unaddressed. Don’t cause more headaches for yourself down the line. Your vehicle is a major investment — probably the most significant one aside from your home. Take an active role in BMW maintenance in partnership with us to fully protect this investment. This only serves to boost your car’s safety, efficiency, and overall performance level. After all, you want your car to last for many years. Extending the life of your BMW is possible only with regular care and maintenance by qualified professionals. Enlist our help now to cut down on expenses and hassle later. In a survey at Be Car Care Aware, more than 90 percent of vehicles were in need of at least one service or repair, with the most common problems being low engine or brake fluid, dirty air filters, low coolant levels, and contaminated washer fluid. Do your part to stay on top of routine maintenance. 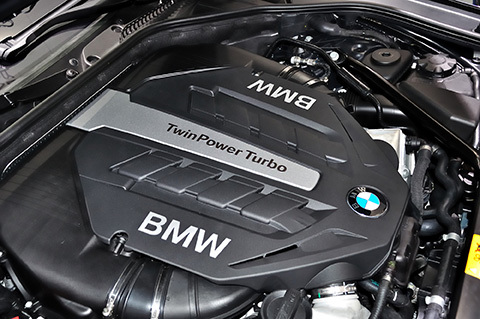 Call our qualified BMW repair specialists in Dallas for help. We strive to exceed your expectations not only on thorough service but also on friendly staff members who are here for you. Bimmers Only is happy to tackle any and all service needs for your BMW no matter the year or model. We stand head and shoulders above the rest because we treat your vehicle like it’s ours. Call us now at 469-585-7718 to schedule a service or repair appointment.